HOW TO SOLVE ILLEGAL IMMIGRATION? This Be Enough? You Be the Judge and Leave a Comment! Of all the issues Congress confronts, the most solvable and the one that would do the most to help our nation grow and prosper — with the possible exception of energy — is immigration reform. We are a nation that has always drawn much of its strength from having people come here and add to the energy and prosperity of the country. 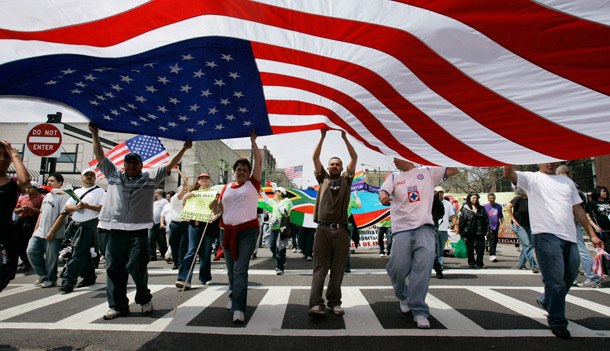 The immigrants who have chosen to make the difficult and challenging choice to move to America have often been some of the most productive citizens of the countries they left behind. They are, by nature, driven people who were willing to take the risk of pulling up roots and moving. As a result, the United States has, for the most part, gotten the benefit of talented and committed citizens who have raised our culture and our standard of living. Our national policy should continue to encourage immigration. This is why we need an immigration policy that deals with the reality of our times and continues to reinvigorate our nation by bringing in new people. Yet for reasons purely political and counterproductive, a reasonable immigration policy has been sidetracked by the desire of both Democratic and Republican officeholders and candidates to score points with groups that have no interest in effective policy but simply have single-issue concerns that have turned into non-debatable hyperbole. It is not rocket science to know how to set up an effective immigration policy. The parameters are clear. The policy needs to encourage legal immigration that helps our nation prosper. • First, we need to secure the borders. Although progress has been made, the border with Mexico where most illegal immigrants cross is still not secure. It is inexcusable that the resources and technology needed to stop the flow are not in place. All it takes is funding and commitment. • Second, there needs to be an effective and friendly guest-worker program. This allows people who need work to come here where there are jobs not being done by Americans. • Third, once we have an effective guest-worker program, there needs to be a dramatic increase in surveillance and prosecution of businesses that employ people who are not here legally. There should be a significant price to pay for an employer that exploits people and encourages people to enter the country illegally. • Fourth, there needs to be a new regime for attracting talented people to come here and stay here. We should say to the best and the brightest around the world that if they wish to come to America, we are interested in having them come. If they are already studying here, we are interested in having them stay. Instead, we say the opposite. As Bill Gates says, every time he hires a talented individual from another country to work here it benefits America two ways. First, the individual usually ends up being a center around whom jobs are created, and second, it keeps him or her from being an overseas competitor. • Fifth, we need to deal in a humane and reasonable way with the millions of people who are already here illegally. If they have acted inappropriately while here, then we should send them back to their native lands, but obviously that would be a small number of people. 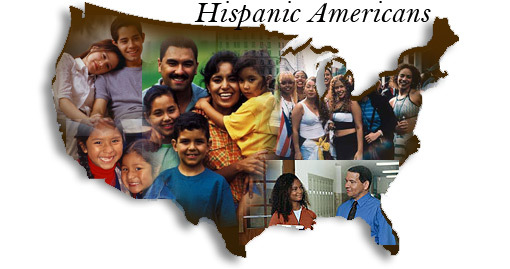 We cannot deport millions of people, most of whom are hardworking and living quiet, orderly lives. We also cannot allow them, as a result of their illegal entry, to become citizens. This would violate the basic premise of following the rule of law that is a key standard of citizenship. But there is a logical, fair and reasonable resolution to this conundrum. It is to allow these people, after they have agreed to some reasonable action, either through community service or fines, to compensate for their violation of the law when they entered the country to obtain a “blue card.” This blue card would give them legal status but not citizenship. It is time to push aside those in the political arena who wish to use immigration primarily as an election tool and do not seek or tolerate rational action. It is time to move forward with a policy that will make us more competitive, add to our economy and our culture and continue to lift our nation and give us the unique strength that comes from being a country built on the character of the people who immigrate here. Judd Gregg is a former governor and three-term senator from New Hampshire who served as chairman and ranking member of the Senate Budget Committee and as ranking member of the Senate Appropriations subcommittee on Foreign Operations. He also is an international adviser to Goldman Sachs. In this election year, the candidates are treating the Univisions and Telemundos of the world the same as they do many English-language networks. The Hispanic news media clearly are not only playing a significant role in coverage of the primaries, they also have the respect of all the major candidates. The GOP hopefuls seem to be treating Hispanic media on par with their English-language networks, if not going out of their way to be sure they make their points to Hispanic voters. The major Spanish-language news outlets also has a partner in an English-language outlet, be it CNN and CNN en Espanol, Telemundo and NBC, or Univision and ABC News. Even Fox News Latino–which exists only online and does not have its own TV outlet–is expanding, releasing its first ever poll yesterday. Hudson says this is the first time in national political elections that CNN en Espanol has been cobranded with CNN and shared in coverage. “It’s the first time that the network has been perceived to be a major asset to English-language CNN,” she says. “We launched our primary coverage last July. Since then we have been doing tagteam coverage with CNN. 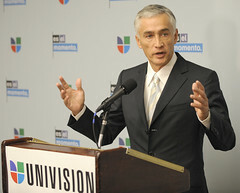 We cosponsor the debates with CNN and we carry all of them live, translating them into Spanish. And our political analyst, Marisa Cardona, also appears on CNN.”Telemundo’s Falcon says her network’s partnership with NBC News “is extremely important to us, a very valuable asset.” She adds that Telemundo plans to cover every Republican caucus and primary going forward, offering coverage across all of its platforms. She says while extra emphasis will be on covering states with large Hispanic populations, all primaries will be covered. Falcon also says Telemundo will expand Enfoque from a half-hour to an hour in the near future. WHICH TV AFFILIATE IS SECURING DISTRIBUTION IN 75% OF U.S. HOUSEHOLDS? MundoFox, the fledgling Spanish-language, general-entertainment network, is off to a fast start on the affiliate front, inking carriage deals covering nearly 40% of U.S. Hispanic households. MundoFox, the joint venture of Fox International Channels and Colombia’s RCN Television Group that is eyeing a fall launch, has secured affiliate deals in 20 DMAs, according to the parties. Deal terms for the service, which was announced in January, were not disclosed. The initial affiliate list includes flagship KWHY (channel 22) in Los Angeles, the top Latino market in the U.S., which owned by the Meruelo Group and WJAN (channel 41) in Miami (Hispanic DMA No. 3) owned by America CV Group. Carriage was also secured in San Antonio (7), San Francisco (8), Phoenix (9), Sacramento (11), Fresno (14), Tampa (20), Las Vegas (23), West Palm Beach (28), Bakersfield (31), Monterey (34), Fort Myers (37), Palm Springs (39), Odessa (43), Santa Barbara (45), Lubbock (51), Boise (71), Abilene (78) and San Angelo (92). All affiliates in the top 10 markets are full power stations or are fully distributed in cable and satellite, according to Fox International and RCN Corp.
Distribution agreements in the remaining top 50 Hispanic markets across the country are still being negotiated. The joint venture aspires to bring the sensibilities of the Fox broadcast network to Latino audiences, featuring entertainment, sports and news, among other programming formats. 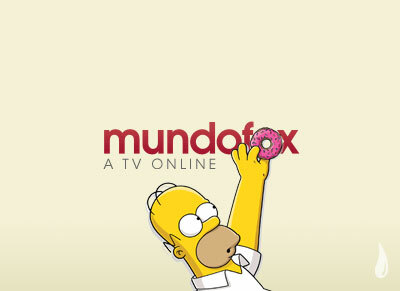 MundoFox plans to integrate programming from a variety of sources into its lineup. Colombian broadcaster RCN Television S.A., the creative force behind the original Betty La Fea (Ugly Betty) and El Capo, will be contributing. NTN24, RCN’s international, 24-hour channel will offer Spanish-language news, analysis, opinion, sports and entertainment news programs from a Latin point of view. The service also plans to tap product from Shine Group, Elisabeth Murdoch’s U.K. production company that owns Reveille in the U.S. and which News Corp. purchased last February. The network also plans to license and commission fare from third-party suppliers. 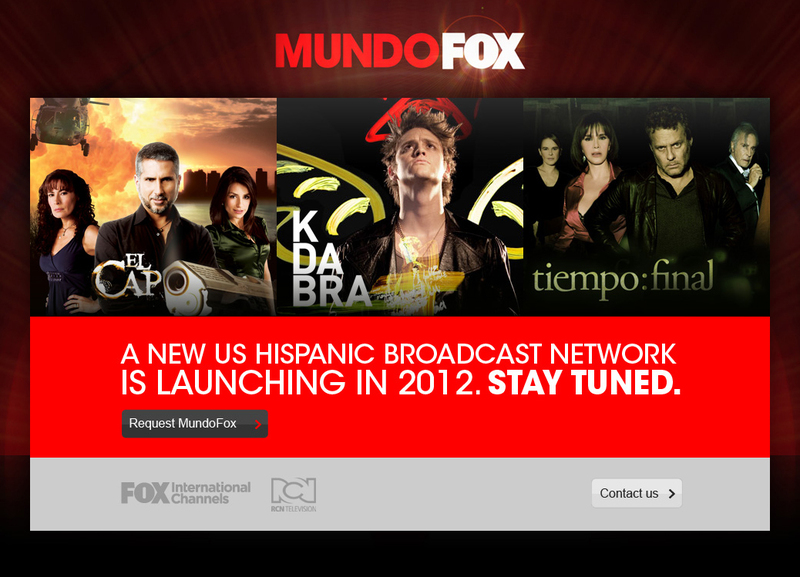 MundoFox will represent Fox International Channels’ fourth U.S. service, joining Fox Deportes, Utilisima and NatGeo Mundo. Globally, FIC operates 350 channels in 35 nations.